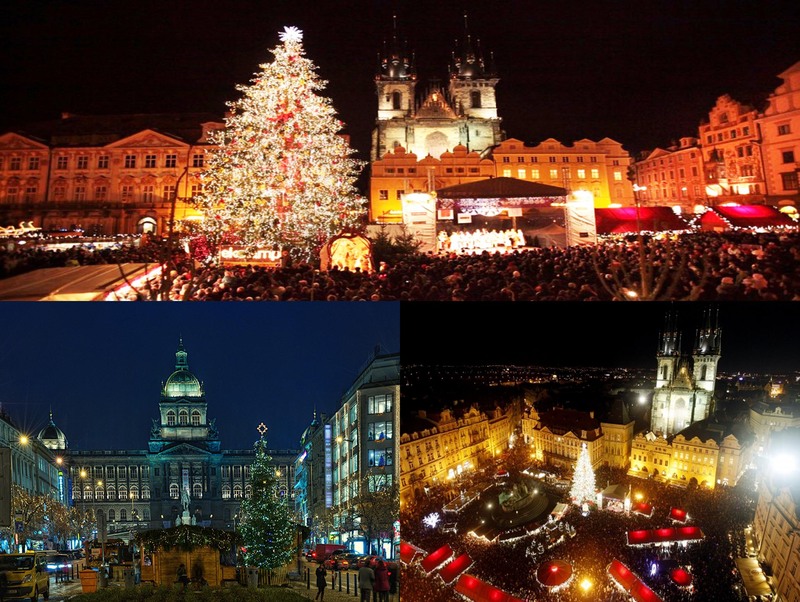 As every year, you have to unique possiblity to visit Prague Christmas markets. The markets light up the city, bringing locals and tourists together in a true 'Christmas wonderland' setting. The main markets are at the Old Town Square and Wenceslas Square. There are smaller markets at Republic Square, at Havel's Market, on Smíchov and on Výstaviště in Holešovice district. The markets consist of brightly decorated wooden huts selling traditional handicrafts: glassware, jewellery, embroidered lace, wooden toys, metalware, ceramics, scented candles, Christmas tree ornaments, hats, gloves and scarves, and puppets and dolls beautifully dressed in traditional costumes. Visitors can taste traditional foods being made, and sample all manner of local produce. Large hams are roasted on spits, there are terribly unhealthy but wonderfully tasty barbequed sausages (klobása), and cakes and pastries prepared in front of you, such as 'Trdelník', a hot sugar coated pastry. The Christmas markets at the Old Town Square also have an animals stable, where children can stroke sheep, goats and a donkey.